If you've not tried water decals before and always wanted to have a go, click here for a mini tutorial on how to apply them. 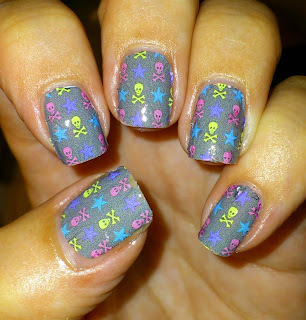 These Pastel Punk Skull Bones & Stars Full Wrap Water Decals are currently £1.50, head on over to YRNails and check out all their other fabulous water decals! Here's a bit more info about purchasing from YRNails, shipping rates are fixed which makes them really easy to understand. INTERNATIONAL shipping included in the above rates, no extra costs to our friends from overseas ! There is no minimum order amount at "YRNails.com". 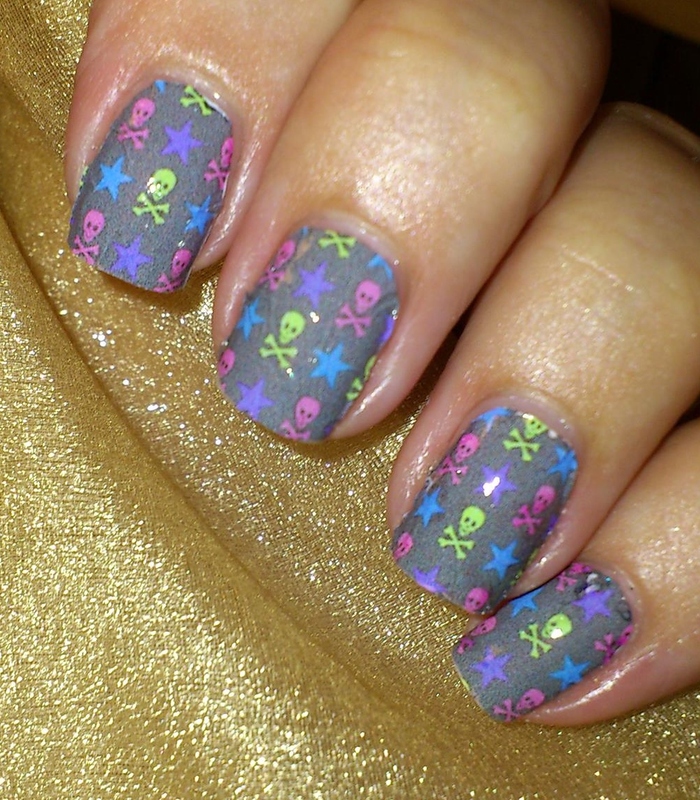 It doesn't matter whether you need just one pack of artificial nails or nail art stickers; you buy only what you need. You can follow YRNails on Facebook, Twitter, Pinterest & You Tube. Sign up for their monthly newsletter and like YRNails on Facebook and get 15% off your purchase and their fans receive exclusive discounts and offers ongoing!!! Woohooo - what are you waiting for! This product was sent to me for my honest review, fun water decal wraps, fantastic design!